The Cold War is a fascinating period of history, shrouded with mystery and intrigue. 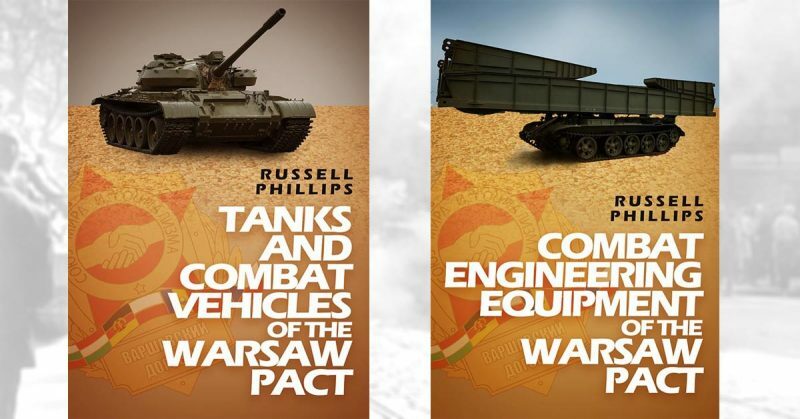 This series of books aims to lift the veil of secrecy surrounding the equipment used in the military operations of the Warsaw Pact during this time of unease between the East and West. 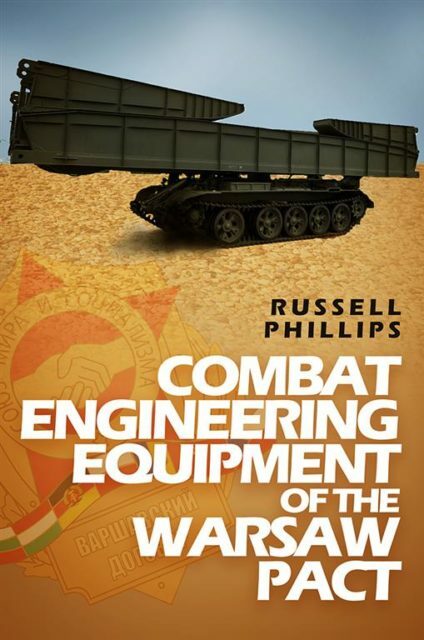 The series goes into detail about the weapons and equipment which were developed for use by the armies of the Warsaw Pact. Find out more about the tanks, combat vehicles, weapons and essential pieces of military equipment which formed an important part of the Eastern Bloc’s strategy during the Cold War. When East and West survived on a knife-edge between peace and war, both sides were busy preparing themselves for military action. But what exactly would NATO’s troops have faced if the Cold War had suddenly turned hot? 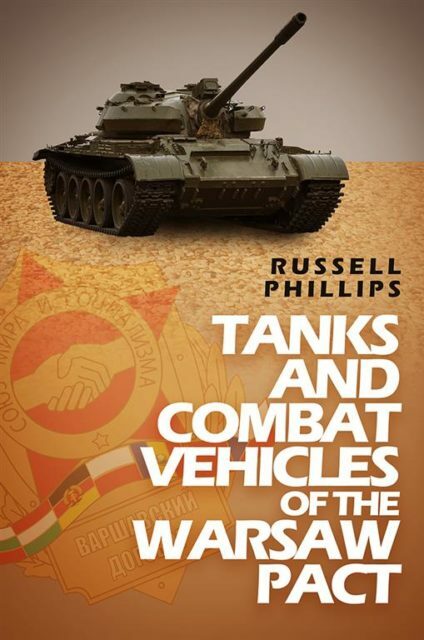 Tanks and Combat Vehicles of the Warsaw Pact is a fascinating reference book looking at the wide variety of combat vehicles which were poised and ready for action throughout the long years of military stand-off. Led by the Soviet Union, the nations which formed the Warsaw Pact were as innovative as they were prepared and these deadly war machines had the potential to change the course of world history forever. Find out more about these combat vehicles from how they worked to what they would have been capable of if they had been used in military action against NATO. As with all Shilka Publishing books, buy the print edition, and get the ebook FREE. Details inside the book. The ability to advance rapidly over difficult terrain was a key part of the Warsaw Pact’s strategy. The Eastern European nations which formed this historic alliance wanted to be able to move quickly and effectively. The vital tools which helped the Warsaw Pact overcome the challenges it faced included a whole range of combat engineering equipment. This book is a factual reference of the equipment used throughout the Cold War period. With obstacles including rivers and minefields to negotiate, combat units could have faced costly delays if it hadn’t been for the diligent work of the Warsaw Pact’s engineers. Refusing to allow troops to be slowed down by the landscape, these combat engineers worked in challenging conditions to find safe routes to their destination. The work of these engineers played an essential part in the Warsaw Pact’s military strategy. But the work of this effective force would have been impossible without the specialist engineering equipment they used. Rugged, simplistic compared to their Western equivalents, these items would play a crucial part in both peacetime military exercises and combat operations in Afghanistan. Born and brought up in a mining village in South Yorkshire, Russell Phillips has lived and worked in South Yorkshire, Lincolnshire, Cumbria and Staffordshire. His articles have been published in Miniature Wargames, Wargames Illustrated, and the Society of Twentieth Century Wargamers’ Journal. He has been interviewed on BBC Radio Stoke, The WW2 Podcast, and The Voice of Russia. He currently lives in Stoke-on-Trent with his wife and two children.